Founder of ADMAF, H.E. 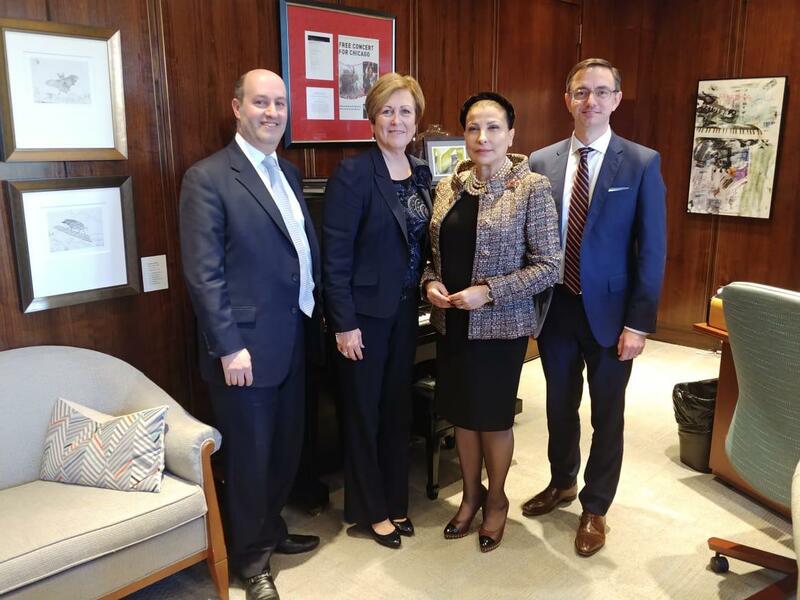 Huda I. Alkhamis-Kanoo, visited The John F. Kennedy Center for the Performing Arts and met with its president, Deborah F. Rutter. Also in attendance was Timothy O’Leary, General Director, WNO, and Gary Gintsling, Executive Director, NSO, as they discussed future projects of mutual interest.